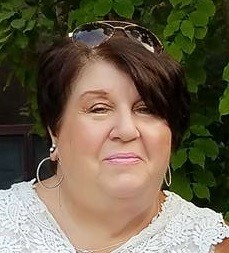 Jo Ann L. Laflamme, age 67, a resident of Lowell, passed away unexpectedly on Sunday, March 24, 2019, at the Lowell General Hospital. Born in Lowell, on June 23, 1951, she was the daughter of the late Leo and Lorraine Y. (Ducharme) Lavigne. Jo Ann was educated in the Lowell school system and was a graduate of St. Louis High School. Prior to her retirement, she worked in the payroll department for the Merrimack Valley Visiting Nurses. She also worked for many years at Joan Fabrics in Lowell. Jo Ann enjoyed bingo, crafts and crocheting. She loved spending time with family and friends, and spoiling her cat Spooky. She was also the Tennant Council President where she resided. She is survived by a son and daughter in law, Matthew and Sarah Laflamme of Lowell; two grandsons, Jonathan and Adam; She was the wife of Robert Laflamme; and many dear friends and family. LAFLAMME – Jo Ann L. Laflamme. Funeral services will be held on Tuesday, April 2, at 10 a.m. in the Chapel at St. Joseph Cemetery in Chelmsford. For online condolences, please visit www.martinfuneralhome.net.